For almost every tourist coming to Halong Bay, making the most magical experience of all times seems to be the common dream. 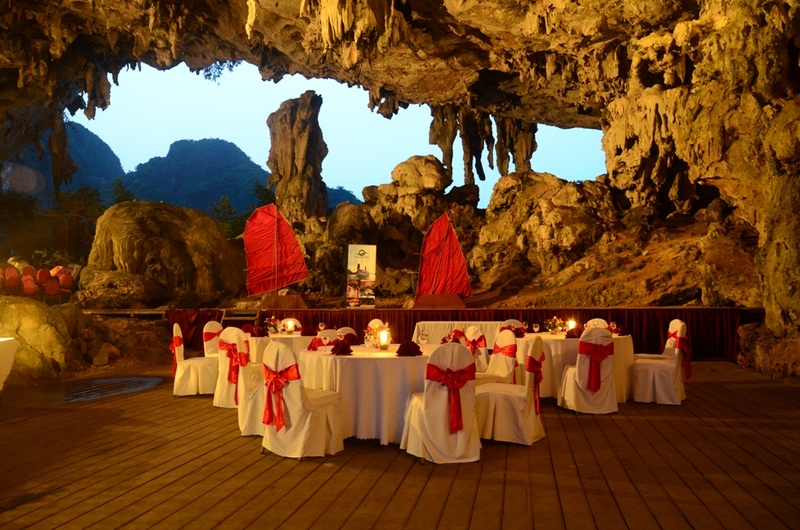 Enjoying a dinner in one of the mysterious caves of the Bay of the Descending Dragons, the heart of fantasy and wonders, when the sun ends its course behind a skyline of enormous rocks rising up the mythical emerald waters, is not a bad idea. In addition to the turquoise waters and beautiful islands, Halong Bay is also riddled with stunning grottoes that look like hidden lairs. 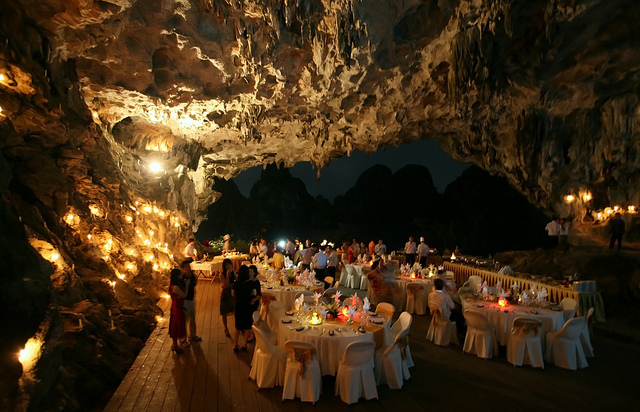 Thien Canh Son cave is the most magnificent and famous cave called “must see” in Halong. You have the feeling you are climbing toward heaven as the pathway to Thien Canh Son Cave is set below a stone cliff and the forest canopy. Once stepping inside the cave, you can see an ethereal wonderland with naturally carved images looking like a baby elephant and a lotus and an imaginary dream world created by stone statues of seals and flowers. The ceiling of the cave is covered with uncountable sparkling stalactites resembling “hanging lamps” together with a shiny “gem carpet”. 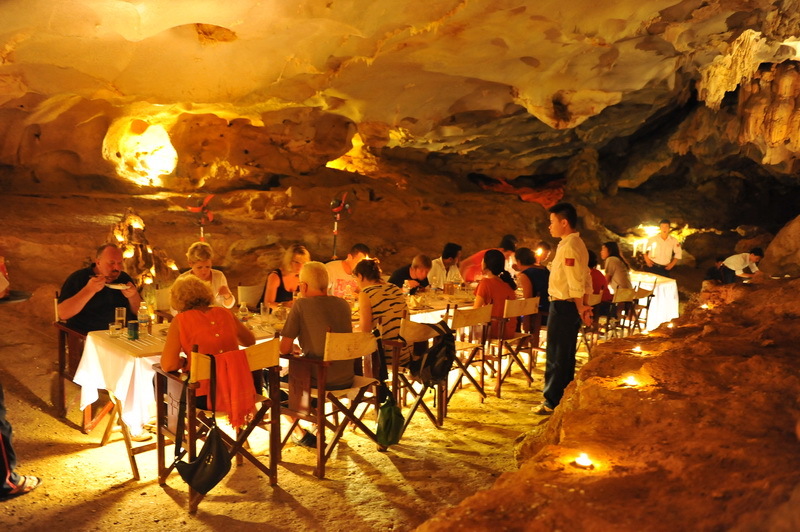 Thanks to the geological value of the mysterious and wild seduce, Thien Canh Son Cave is a perfect place where you can enjoy a cozy dinner with your friends and family in sparkling candlelight. 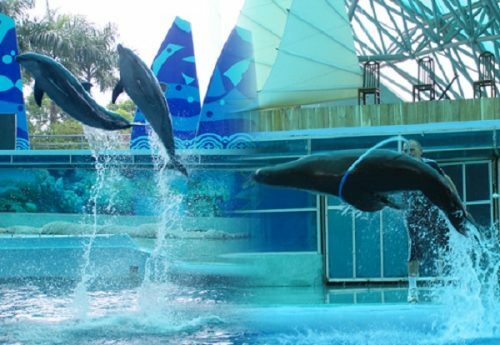 A wonderful atmosphere making your corporate incentive trips an unforgettable experience and a successful team building time too together with a romantic setting, perfect for a birthday, a wedding anniversary or a special surprise for your beloved one. As for the dishes, the delicious catering will make all quality expectations and your wishes come true, ranging from menus to buffet style, combining Asian and Western with authentic Vietnamese delicacies. Nothing beats a chill moment to relax after a long day of kayaking, swimming, kayaking together with many other interesting activities. 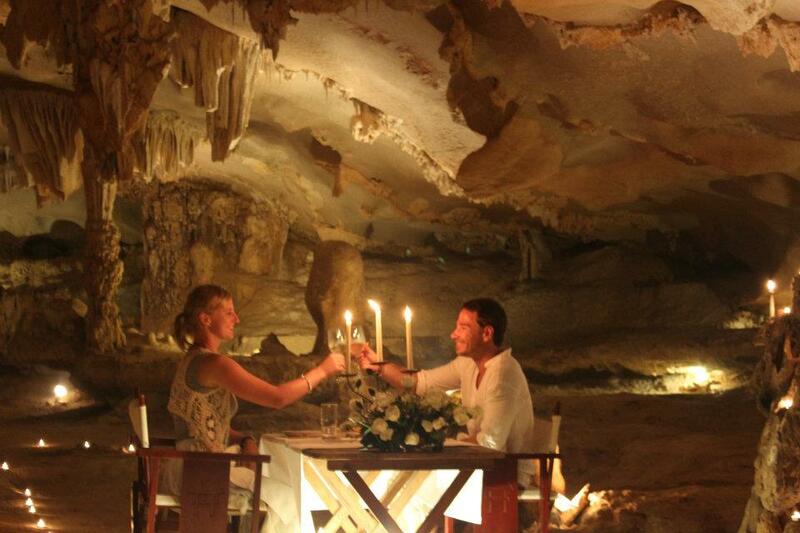 Meanwhile most other cruises prefer to have an ordinary dinner in a cave, Dragon Pearl Junk came up with the idea of allowing travelers to have an unforgettable dinner in a cave. This idea has been lauded by many customers. This dinner is mostly used for special occasions like a small wedding, a romantic dinner, conference group or a birthday party with less than 60 guests. The Halong trip will be stay as a wonderful journey in your memory with the dinner which will be one of the best dinners you have ever had. It would be such a waste not trying this feature out if you had a chance to go to Halong Bay.